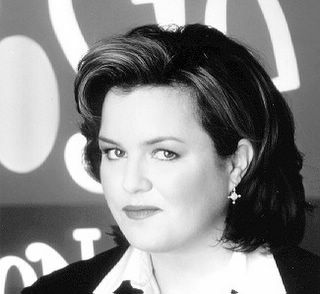 so, did anyone else see rosie o'donnell on the view this morning? joy behar was talking about how danny devito's (drunken?) appearance on the show last week made them so popular that they were probably being broadcast in outer mongolia. then, the porkchop started to cry (yeah, sometimes joy behar makes me cry too) and i didn't hear what rosie said next in response to that... but when i got back to the tv, what i did hear (i'm 90% sure) was "ching chong, ching chong, the view, ching chong, danny devito, ching chong, ching chong". and again, there was a porkchop intermission and when i came back, joy behar was talking with some random made up accent and rosie asks (i'm paraphrasing), "who is that you're talking like?" and joy behar says (i'm paraphrasing again) "i dunno. some terrorist from over there." seriously. anyone remember adam corolla's use of ching chong? or that radio dj in ohio? i keep looking for replays but i can't find any. just wondering if anyone else saw this? julia sweeney (SNL's Paaaaat) was also on the show talking about her new show and cd. she also talked about her adopted daughter, mulan (which was her name in china, she's not named for the movie.) she has some funny a-parenting anecdotes on her blog.